I love you, every little bit | spifftacular. For Valentine’s Day, Aunt Heidi sent us a cute board book called I Love You, Every Little Bit, and it’s become one of my favorites. (Sample lines: I love your itty bitty feet. I love your cheeks, so round and sweet. / I love your hands that hold me tight. I love your eyes so twinkly bright.) I like how it captures how head-over-heels a parent feels about their child from head to heel. 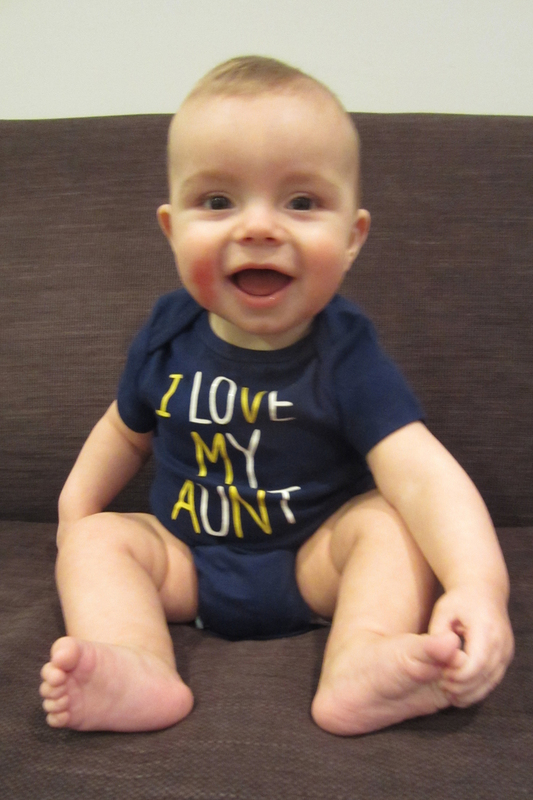 Obviously, I think my child is adorable and generally the best baby in the world. What parent doesn’t? But I’ve been surprised at how much I marvel and obsess over the most minute details of this little person. 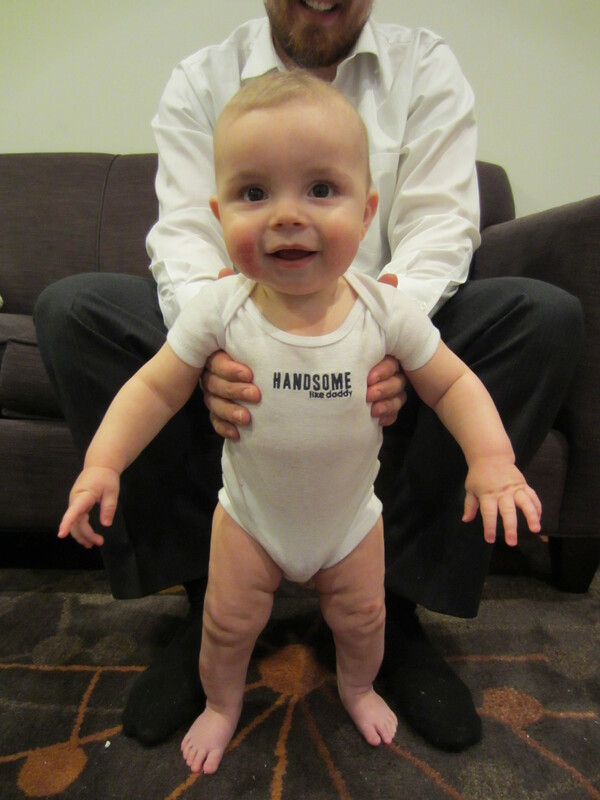 I insist it’s not in superficial way–I mean, I would love my baby no matter what he looked like. My love of his physical features stems from my love of the person, not the other way around. And a little further under the surface, it stems from a love and awe of the Creator, a gratitude for the wonder of coming to Earth as part of the Plan of Salvation to enjoy a physical body and the joys and challenges that entails. 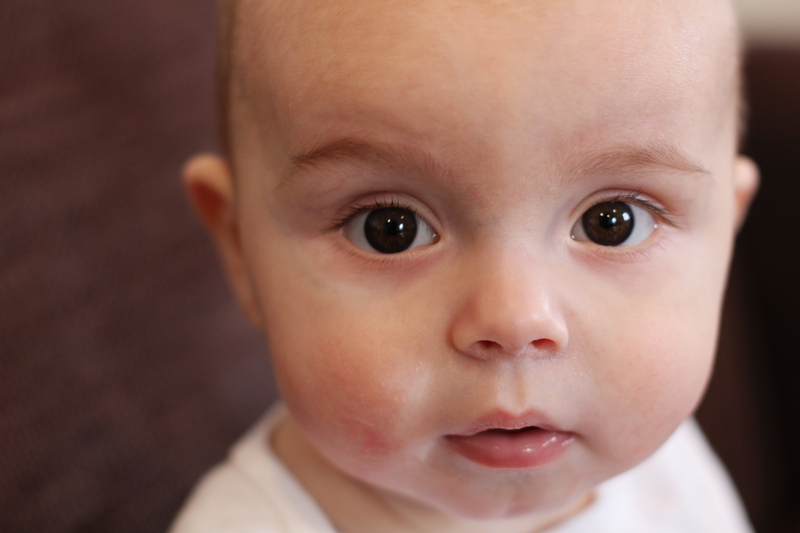 So please excuse me while I gush: A small ode to the glorious features of my sweet baby boy. Your deep brown eyes, which give me new love for your daddy’s eyes. Your impressively long eyelashes. Your perfectly arched eyebrows. Your distinctively dimpled chin. Your just-right ears. Your cute button nose: Upon birth it looked exactly like it did in the ultrasound pictures, which was somehow very satisfying. The shape of your head–a strange thing to appreciate, I know, but numerous people have commented on it too. And oh, those cheeks. That’s what they–anyone and everyone–say when they see you. “Those cheeks!” Such volume, such rosiness. They beg to be squeezed and kissed. Your previously gummy and now toothy smile. Your neck, the life of many a tickle party. Your silky, golden hair, particularly the fluff on the top and the unruly tufts on the sides. Your hands, which somehow manage to be both delicate and chubby, complete with tiny dimples on the knuckles. Your belly, with just the right amount of chub. And oh, those thighs. My one assurance that you must be getting plenty to eat, because my are those legs luscious. And ticklish! Your toes. These toes curl (and sometimes grasp toys) like monkey toes, and viewed all in a row resemble a corn cob. Never would I have thought I would deign to kiss toes–such questionable cleanliness for a germaphobe like myself. But to heck with that. These toes are scrumptious. I love you, every little bit. seriously, why did you take him from us?!?! Love you every little bit Holly! And Little L too! 🙂 I’m glad that is a favorite book and that I could have had a little something to inspire this post. You are a fabulous writer Holly! I’m a writer/editor/content strategist, wife, mama of one, Mormon, and grilled-cheese-loving vegetarian. I tend to blog about parenthood, faith, language, creative endeavors, and of course, my life. I am rarely brief. Sometimes I fancy that life is spifftacular. Enter your email address to follow Spifftacular and receive notifications of new posts by email.